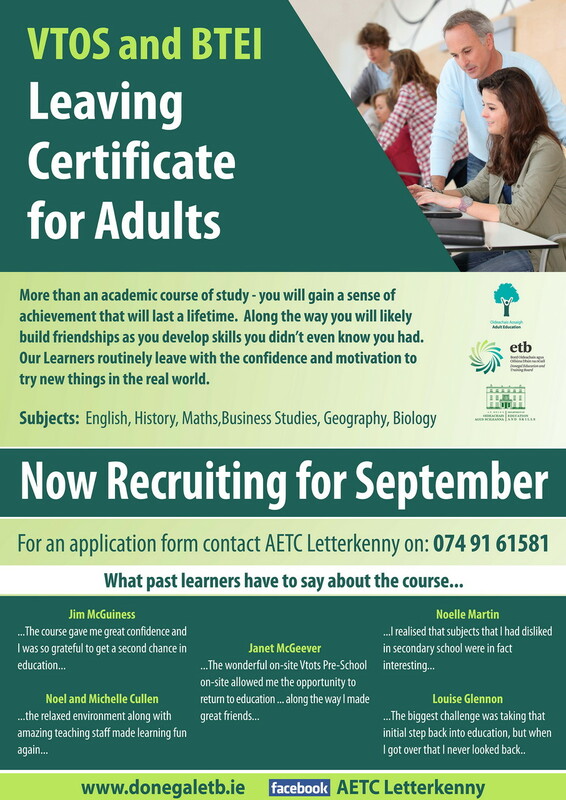 The Vocational Training Opportunities Scheme is an educational opportunities scheme for unemployed persons which is funded by the Department of Education and Science with assistance from the European Social Fund. 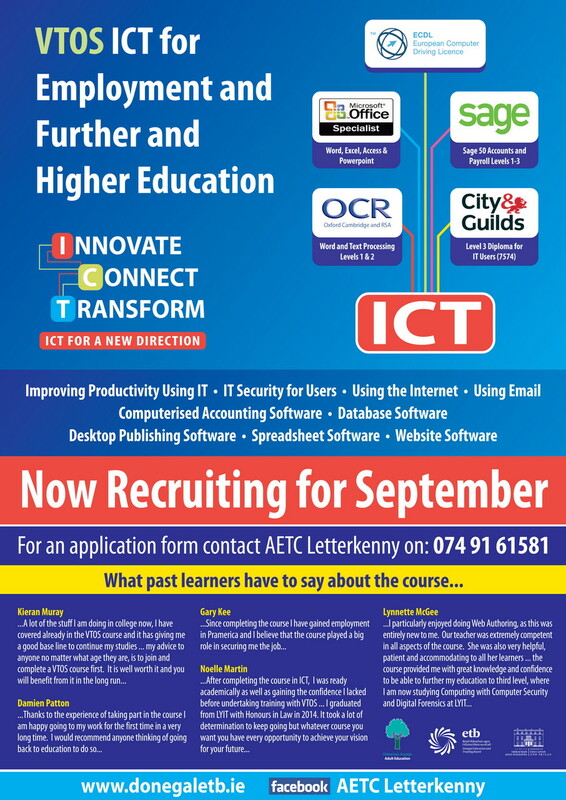 The Scheme is operated through the Vocational Education Committees and provides a special range of courses designed to meet the education and training needs of unemployed people. 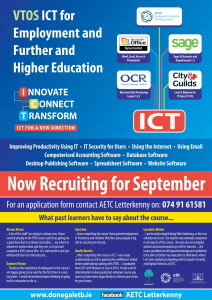 Receive VTOS training allowance at a rate equivalent to the Jobseeker’s Benefit instead of your jobseeker’s payment. 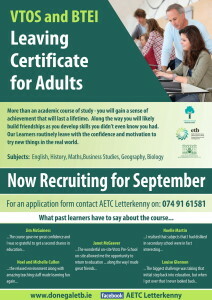 VTOS participants under 26 who move from an age-related reduced rate of Jobseeker’s Allowance will get a rate of €160 per week. 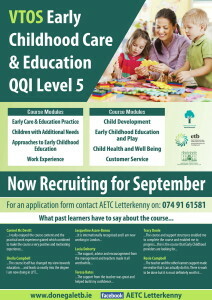 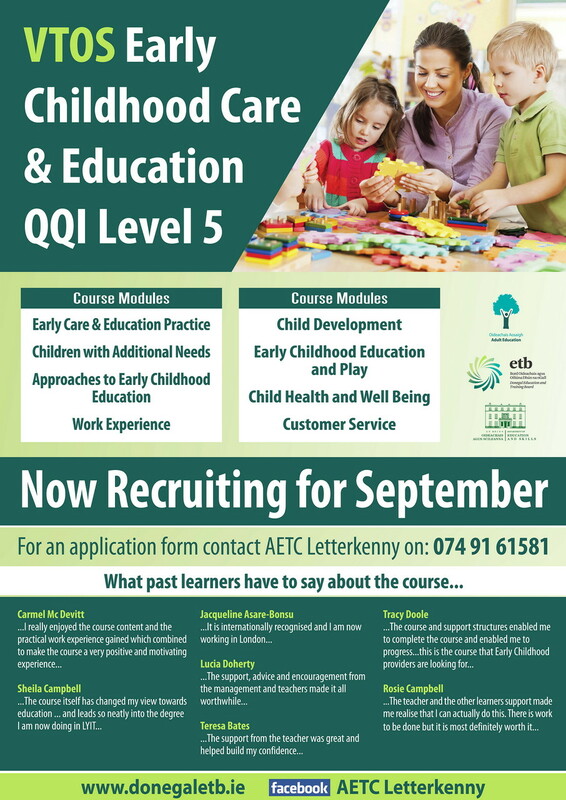 Download Early Childhood Care & Education Learner Course Information .